On Wednesday, when Peoples Democratic Party chief Mehbooba Mufti paid her obeisance at a shrine in south Kashmir apparently to strike semblance with the voters, one of her party workers was shot dead in Kulgam. 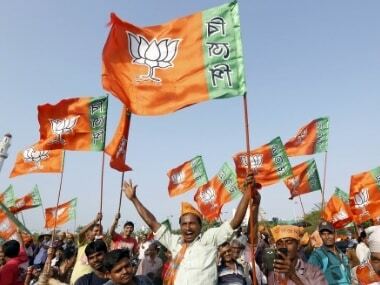 Between the divine intervention and the lurking gun, the former ally of BJP is trying to break the ice with the sulking populace in its erstwhile stronghold, which slid into chaos, right under her nose, in 2016. 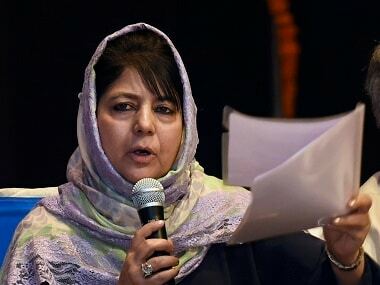 For the upcoming Lok Sabha elections, the party has once again fielded its chief whose ties with the terrain goes back to 1996 when as a daughter of then Congress veteran Mufti Mohammad Sayeed, she would visit the grassroots grappling with heightened militarization. Her exhaustive field trips—now part of political folklore in the valley—helped raise what’s known as “floating vote bank” for Muftis in south Kashmir. Later, the same vote bank would come in handy for them when they floated their own party, PDP, in 1999. Three years later, this new party would conveniently dethrone the traditional power centre, the grand old political party of Jammu and Kashmir, National Conference, to form the coalition government with the Congress. The tenure saw Muftis create another power centre, other than Srinagar, in their “strategic south”. PDP defended its decision by saying that they took the call “keeping the fractured mandate of 2014 Assembly elections” in view. However, the party supporters who had sought votes against the BJP didn’t buy it. Some of them eventually took arms, joined militant ranks and were subsequently killed in different encounters across Kashmir. 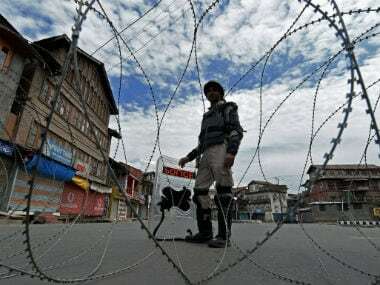 Since then, south Kashmir’s four districts—Pulwama, Anantnag, Kulgam and Shopian—have greatly suffered in renewed anti-establishment rage. The frequent encounters, regular blasting of houses, heightened militarization, raids and detentions have made it a war-torn zone. But despite the anger against PDP on the ground, the party seems to compete with only itself in the upcoming elections. While BJP’s Sofi Yousuf is almost a nonentity in this region for his lack of political sway over masses, Mehbooba’s only contest seems to come from Congress’ state president GA Mir. Her main rival party, National Conference has also made it a cakewalk for her by fielding a lesser-known candidate, the former judge, Hasnain Masoodi. The absence of strong alternative is itself playing in favour of PDP, whose chief badly irked her vote-bank during 2016 unrest. Her controversial ‘toffee’ remarks followed by her angry retort that she was the one who saved “trouble-shooters of 2016 protests” from the knives of Special Task Force lately forced her to tender an apology. She was clearly referring to Jama’at-e-Islami supporters—whose cadres were blamed for acting as spark plugs of the 2016 unrest in Kashmir. Now, Mehbooba is promising to lift the ban from the same Jama’at while seeking votes for the Anantnag constituency seat. Traditionally, too, the Muftis do hold their grip on the Anantnag Lok Sabha seat, which was once considered as Congress’ bastion. Its candidate Mohammad Shafi Qureshi won it thrice—1967, 1971 and 1977. Much of the credit for it is being given to PDP founder and father of Mehbooba Mufti, Mufti Sayeed, who created the base for Congress there. However, Mufti’s rival National Conference did manage to register three consecutive wins—Ghulam Rasool Kochak in 1980, Begum Akbar Jahan Abdullah in 1984 and PL Handoo in 1989—before it was finally won by Mufti Sayeed, then veteran Congressman, in 1998. After Mufti resigned to float PDP, NC’s Ali Mohammed Naik won it back in 1999 bye-elections. Barring 2009, when Mirza Mehboob Beg won it for National Conference, Mehbooba twice registered wins from the seat -- 2004 and 2014. 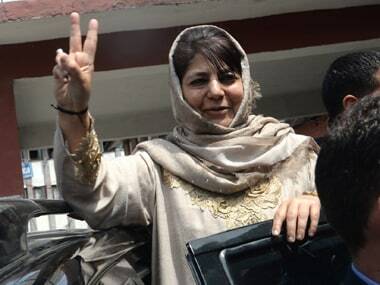 Now, banking on her father’s old Congress cadre and contacts, besides her own grass root activism, Mehbooba will be eyeing to secure another parliament berth from the south, which is otherwise sulking over the turn of events in the valley, ever since PDP shook hands with BJP.